The Mets fell to the Royals in game 1 of the World Series in 14 innings. The Mets had a 3-1 lead going into the 6th inning and a 4-3 lead after 7, but the Royals tied the game in the 9th when Alex Gordon homered off of Jeurys Familia. The bullpens held the score tied at 4 until the 14th, when a David Wright error and a single put runners on the corners with no one out. An intentional walk to Lorenzo Cain set up Eric Hosmer for a walk-off sacrifice fly to right. The Royals got off to the fast start in game 1, when Alcides Escobar hit Matt Harvey‘s first pitch fastball into the left-center field gap for an inside the park home run, after caroming off of Yoenis Cespedes‘s leg. The Royals had a 1-0 lead. The Mets did not get their first hit or first run until the 4th inning. Daniel Murphy singled to lead off the inning, Lucas Duda singled with 1 out, and Travis d’Arnaud hit a sharp single to third baseman Mike Moustakas that he couldn’t handle to score the Mets’ first run of the game. The score was tied at 1. In the 5th, Curtis Granderson homered with one out to make it 2-1 Mets. In the 6th, back-to-back singles by Yoenis Cespedes and Lucas Duda set the stage for a sacrifice fly by Michael Conforto to give the Mets a 3-1 lead. 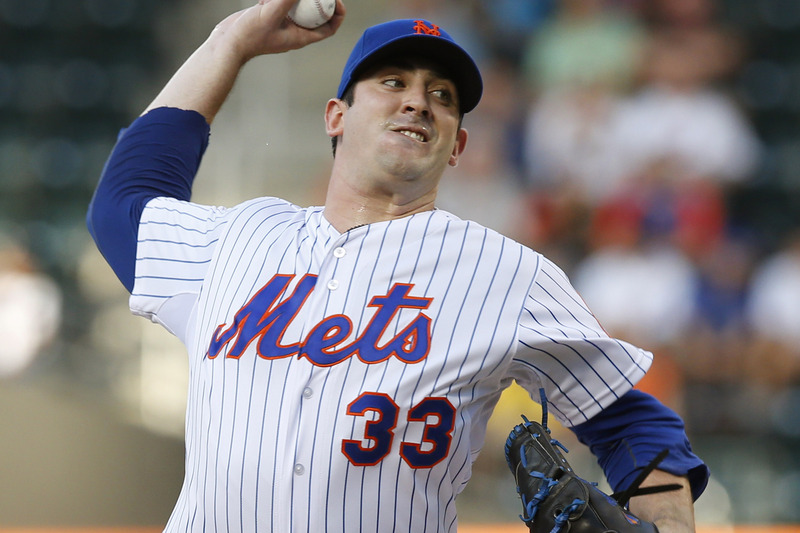 Matt Harvey was very solid through the first 5 innings, having allowed only 2 hits, a run, 2 walks and 2 strikeouts. In the 6th, Harvey gave up a leadoff double to Ben Zobrist and a single to Lorenzo Cain to put runners at the corners with no one out. Eric Hosmer hit a sacrifice fly to make it 3-2, and Lorenzo Cain stole 2nd to put the tying run in scoring position. Kendrys Morales grounded to Harvey, but Mike Moustakas lined a game-tying single to center. The game was tied at 3. The Mets scored in the top of the 7th after a 2-out single by defensive sub Juan Lagares, a stolen base, and a fielding error by Eric Hosmer on a grounder by Wilmer Flores. The Mets took a 4-3 lead. Tyler Clippard allowed a leadoff double in the 8th to Zobrist, but struck out Cain and Hosmer before walking Morales and being lifted for Jeurys Familia. Familia got Mike Moustakas to ground out to end the threat, but with 1 out in the 9th, Familia allowed a game-tying solo home run to Alex Gordon. From there on, the bullpens battled and put up matching zeroes until the 14th. For the Mets, Jon Niese and Bartolo Colon pitched 2 scoreless innings apiece, with Colon working into and out of trouble. For the Royals, the Mets were held in check by single innings from Wade Davis and Ryan Madson, before Chris Young pitched 3 scoreless. In the 14th, Colon allowed a leadoff baserunner on a grounder by Alcides Escobar, in which David Wright’s throw pulled Lucas Duda off the base (though on a second viewing, it looks like Escobar had the ball beat anyway). A single by Ben Zobrist put runners on the corners with no one out, forcing Colon to walk Lorenzo Cain to load the bases, putting a force at every base. Eric Hosmer hit a fly ball to right field, and Escobar tagged to score from 3rd to give the Royals the 5-4 walk-off victory. POSITIVES: Juan Lagares had quite a game off the bench, and was 2/3 with a steal and a run scored. Lagares fought off multiple tough pitches from Kelvin Herrera in the 7th before getting on base and eventually scoring the go-ahead run. Harvey was solid through 6, but not dominant. Addison Reed and Jon Niese were especially strong out of the bullpen, and Tyler Clippard got two huge outs after allowing a leadoff double. Bartolo Colon was solid, but eventually the Royals were able to bunch up a couple of baserunners with no one out. NEGATIVES: Michael Cuddyer was 0/3 with 3 strikeouts as a replacement for Kelly Johnson as DH. Wilmer Flores was 0/4 with a walk, but that doesn’t consider a couple of hard-hit balls and that the ball he hit in the 7th to score Lagares probably should have been ruled a hit instead of an error on Eric Hosmer. Flores also made a couple of very strong defensive plays. David Wright was 2/7, but did not come up big in key situations, and had a couple of throwing issues. Jeurys Familia blew his first save since July 30th, allowing a solo home run in 1 1/3 innings of work. Game 2 is tomorrow at 8:07, with Jacob deGrom facing Johnny Cueto. 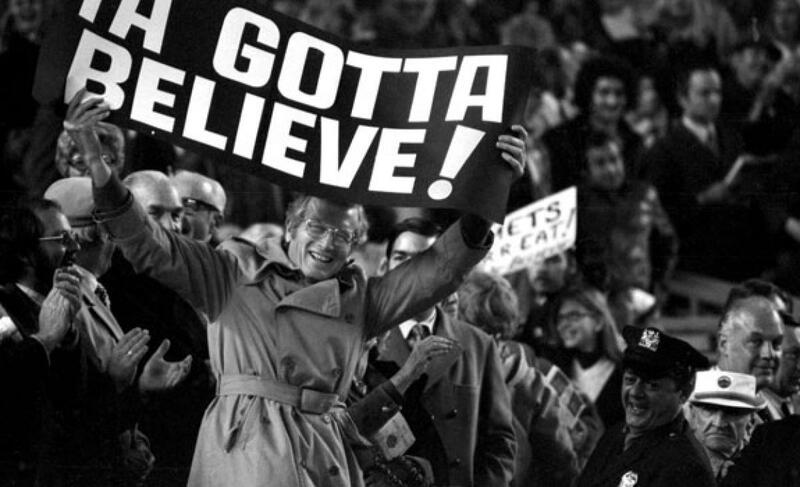 The Mets face the Kansas City Royals in game 1 of the World Series. Tonight’s game is at Kauffman Stadium in Kansas City, Missouri and starts at 8:07 PM ET. Matt Harvey (2.71 ERA, 3.05 FIP, 1.02 WHIP, 189 1/3 IP over 29 starts) gets the game 1 assignment against Edinson Volquez (3.55 ERA, 3.82 FIP, 1.31 WHIP, 200 1/3 IP over 33 starts and 1 relief appearance). The Mets and Royals have never faced each other in the World Series, and in fact, it is the first time in major league history that two expansion teams have met in the World Series. In his two postseason starts, Matt Harvey has allowed 5 runs over 12 2/3 innings (4 earned), 11 hits, and 4 walks (1 intentional) while striking out 16 and hitting a batter. Harvey was particularly impressive in his most recent start, game 1 of the NLCS against the Cubs during which he allowed only 2 runs in 7 2/3 innings. Volquez, in 3 postseason starts in 2015, has allowed 8 runs in 16 2/3 innings, 10 hits, 12 walks (1 intentional) while striking out 15. Volquez’s best start was in game 1 of the ALCS against the Blue Jays, in which he pitched 6 shutout innings, while only allowing 2 hits and 5 walks while striking out 4. The Mets have not played the Royals since 2013, and among the 50 active players on the two rosters, only one has played for both teams: Royals starting pitcher Chris Young. The Mets have not played at Kauffman Stadium in Kansas City since 2004. **Juan Uribe rejoins the Mets after missing the Division Series and the Championship Series with a chest injury. He replaces Matt Reynolds on the roster. Uribe is the only player on the Mets to have won a World Series before, and he has done so twice: as a member of the 2005 White Sox and a member of the 2010 Giants. **Mondesi replaces pinch-running specialist Terrance Gore. Mondesi, should he appear in a game, would become the first player in history to make his major league debut in the World Series.